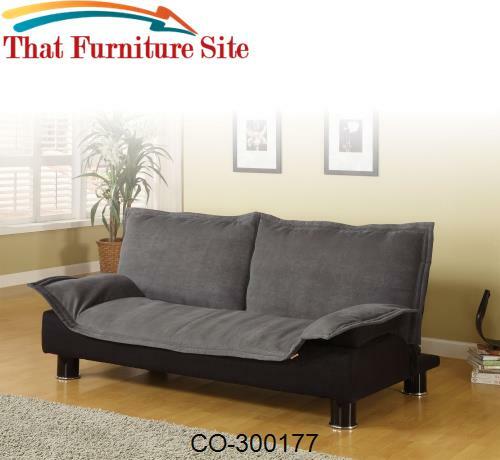 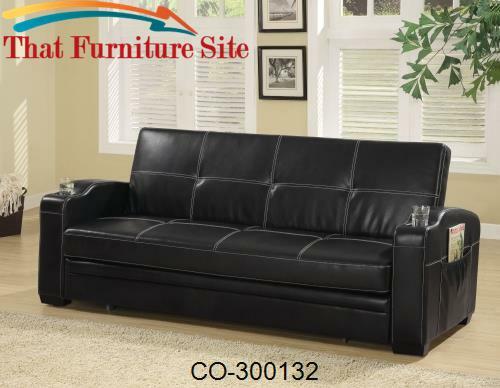 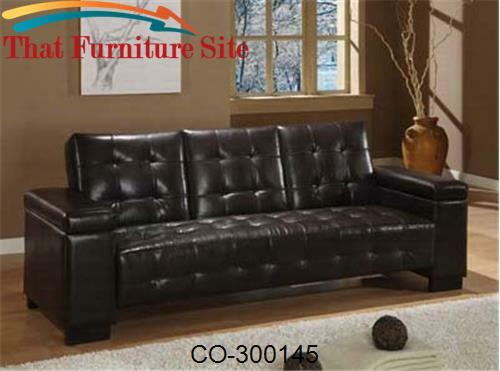 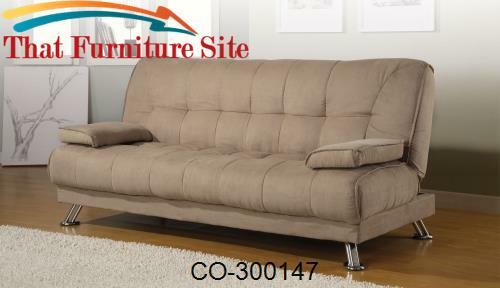 This stylish sofa bed will be a nice addition to your home, perfect for condos, small homes, or a spare bedroom. 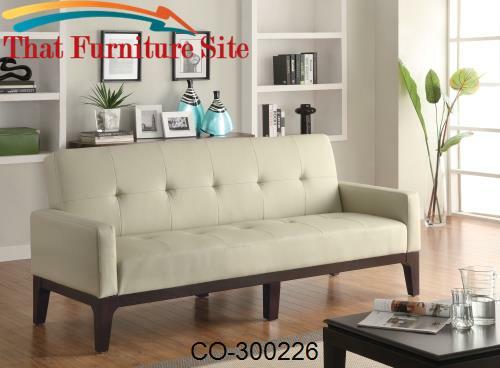 This piece will help you make the most of your space, with a great multi-functional use. 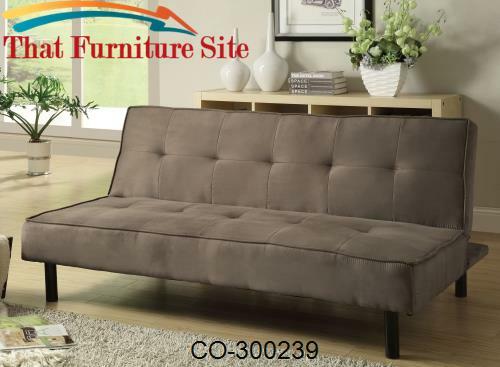 Lounge on the plush seat by day, with soft pillow arms on each end, and a center drop down console with a table surface and built in cup holders for convenient snacking. 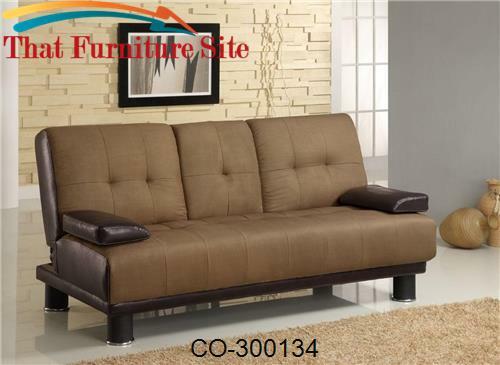 This sofa features a classic two tone look, with soft medium brown microfiber and rich dark brown faux leather with a modern tufted look, for a sleek contemporary style. 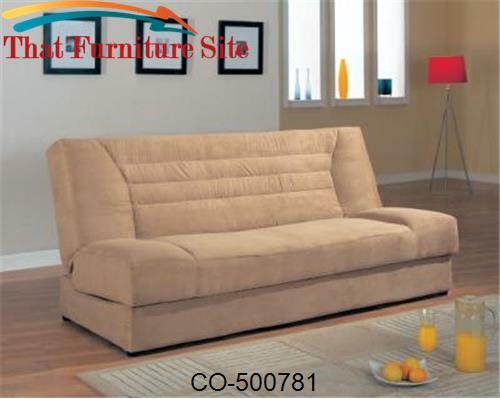 Easily drop the back cushion, converting this sofa to a useful double bed for nighttime use.